Telling secrets among the puppies!! 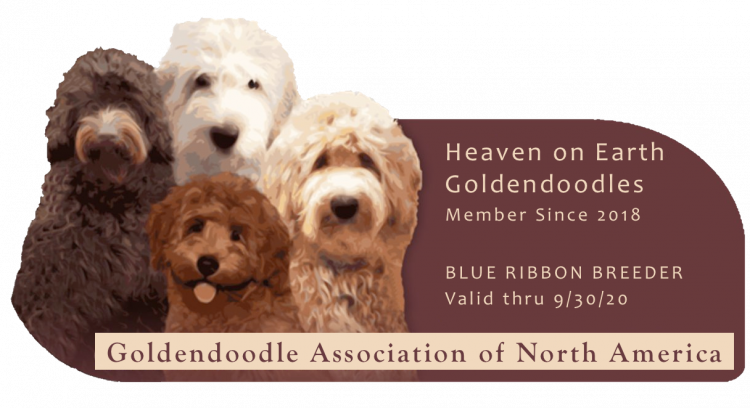 My name is Mary Hofmann and I am proud to be a small breeder of Goldendoodles in Canton Georgia. 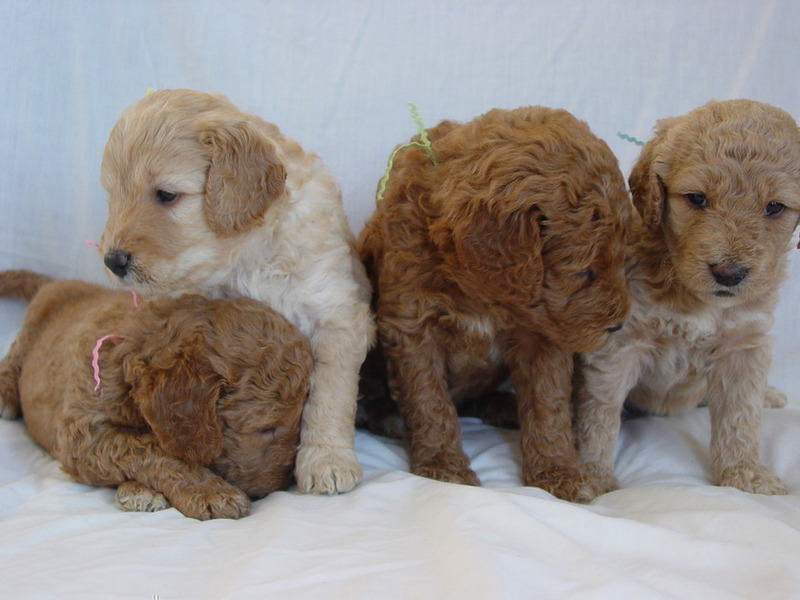 Goldendoodles love to be with their family. They are eager to please and get along well with children, other animals, and strangers. They are social dogs and crave to be around people. They have a wonderful temperament and a calm laid back demeanor. 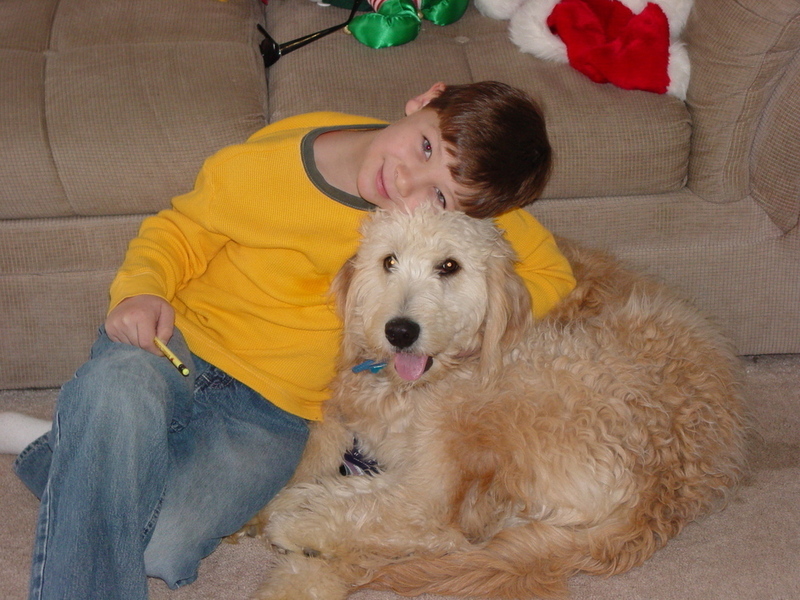 Here at Heaven on Earth Goldendoodles our dogs are our pets and live inside our home with us. They have free roam of 2 acres of our property to enjoy. Our puppies also live inside our home & when older in our new puppy barn where they have room to run and play inside and outside. 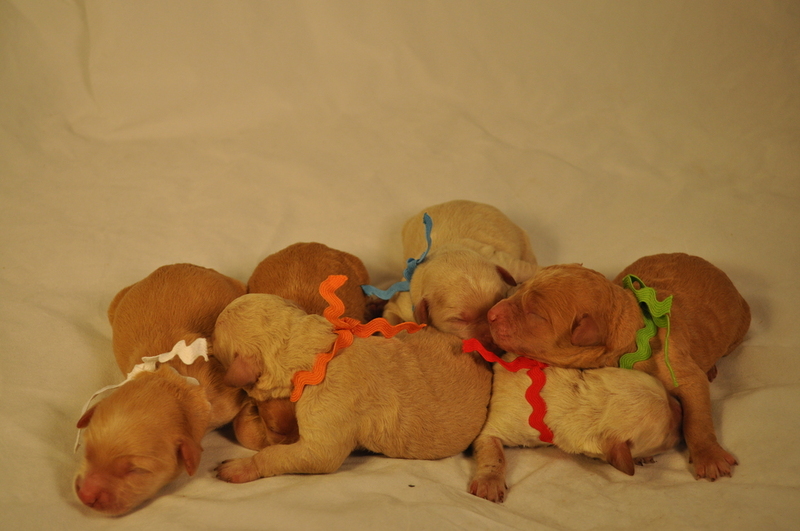 Our puppies are played with and socialized daily. All of our dogs are fully tested! 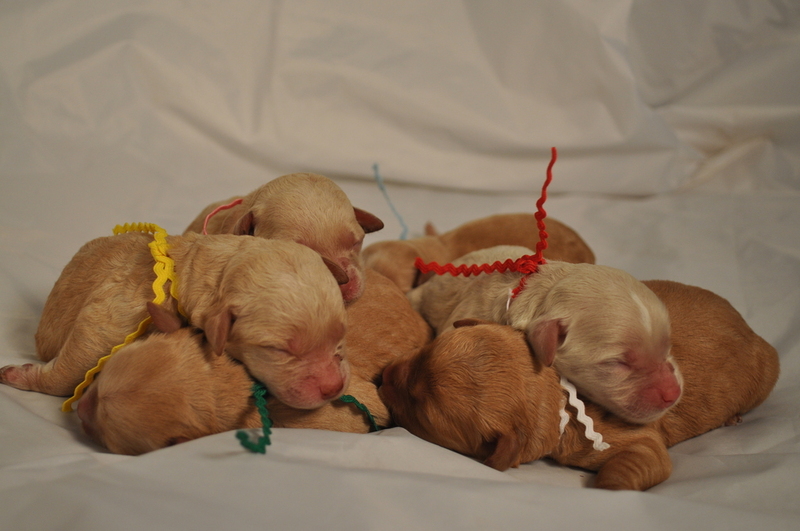 We practice Early Neural Stimulation on all of our puppies, giving them the best start in life that we can. 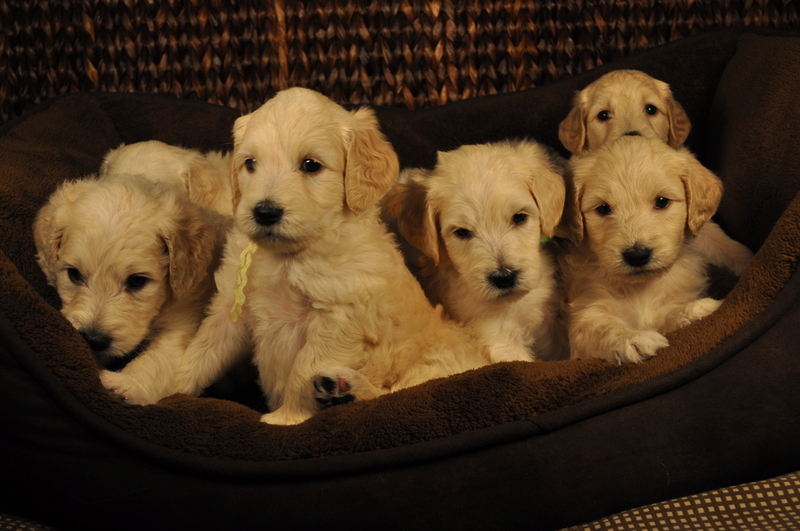 Goldendoodles are intelligent and have a strong desire to please its master, making them highly trainable. Our choice of food for all stages in our home is Life's Abundance All Life Stages. Order here to keep your pet free from recalls and on a food that Breeders trust.